What is Long Distance SUP? So, you’ve been paddle boarding a couple times. Here and there on small lakes and rivers and such. You want to get good at it, and start doing it more regularly. You may even want to enter a couple races, or simply go longer distances with your board. But what’s the best way to go about doing this? 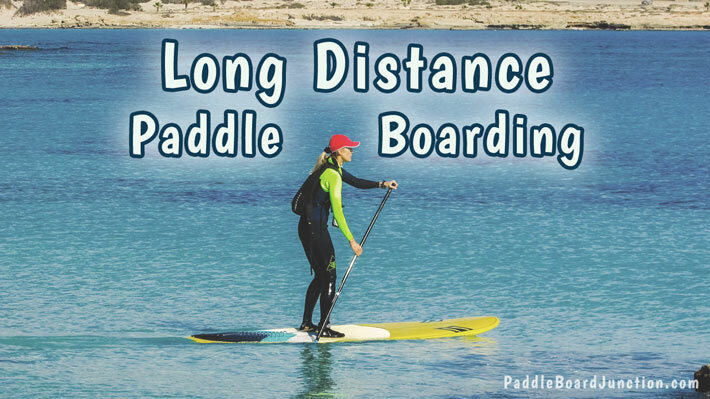 Long distance paddle boarding is exactly what it sounds like – going off on a paddle boarding excursion for great distances. 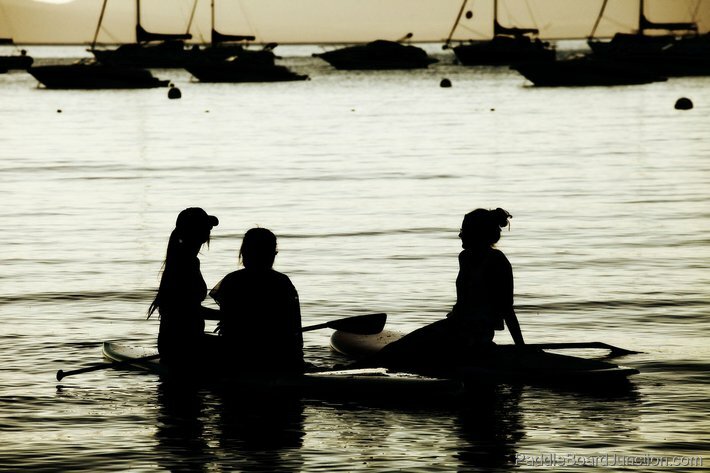 You can go out on the water for leisure, or enter races and do it competitively. 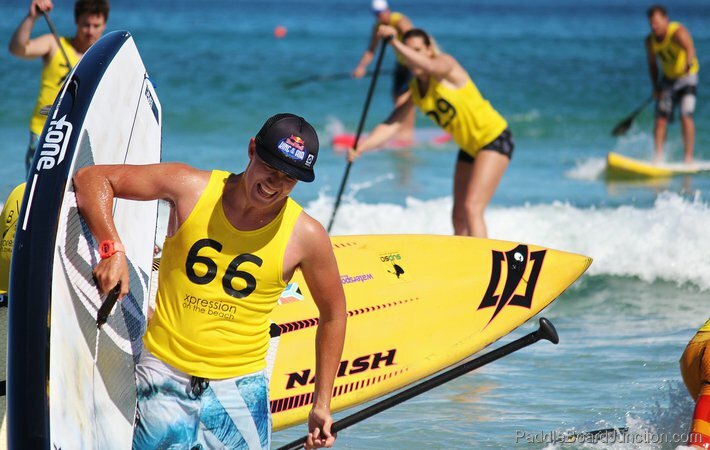 There are a variety of good reasons to start long distance SUP. For starters, you may want to get in shape, spend time with others who enjoy the sport, or simply just love being out on the water. 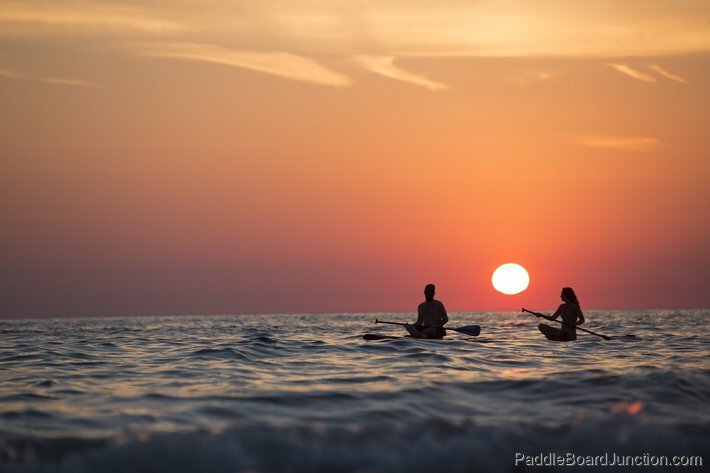 Whatever the reason may be, you will find that regularly paddle boarding is not just a way to get outside and exercise. It’s a great experience that you will really enjoy, and it will challenge you mentally and physically. Leisurely enjoying the scenery on a paddle boarding trip is great. But if you’re a competitive person and are in for a great experience, you might want to consider entering a couple races. A good training system is key for success in these competitions. You don’t need to enroll in an expensive training program to become a better paddler. You can actually train yourself if you have the discipline! The key to being a good paddler is having a strong core, good balance, and a strong upper body to be able to pull yourself up onto the board. Simple exercises to strengthen your core and upper body include: pull-ups, push-ups, bench presses, planks, and curl-ups. These are just a few, and results can be enhanced by adding leg weights. Just be sure to stretch before and after! Obviously, no one can become a good paddler without actually paddling. 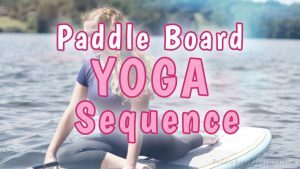 Along with strength training, it is necessary for you to regularly practice with your board. Go out on the water once each day or a couple times a week. Be sure to go farther and farther each time, to test your limits and evaluate what you need to work on. It is important to be prepared for any obstacles you might face when going long distance paddle boarding. Remember to avoid big rocks in the water, and don’t ever go out during inclement weather (thunderstorms, hurricanes, etc.). There are many more races worldwide and there will definitely be more opportunities as the sport gets more popular. The title is pretty self-explanatory, but ultra long distance SUP is simply a longer distance SUP. Racing for ultra long distance SUP should be reserved to those that have trained and practiced for a long while. These races are very much high-intensity. Distances can range from 30 to around 400 miles or longer. Race and touring boards can be very long and hard to manage. Shorter boards are easier for beginners. Lighter weight boards are easier to manage if you’re under 170 pounds, but they can capsize fairly easily as well. Finding a sturdy, lightweight board will provide a happy medium. 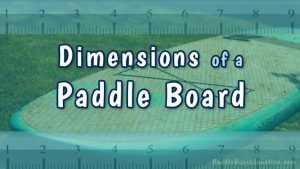 Rigidly constructed boards are optimum for long distance paddling, although some inflatable constructed boards have extreme durability. For long distance SUP, tons of deck storage is very convenient for storing food, water, first aid kits, and any other equipment you might need on a long journey. 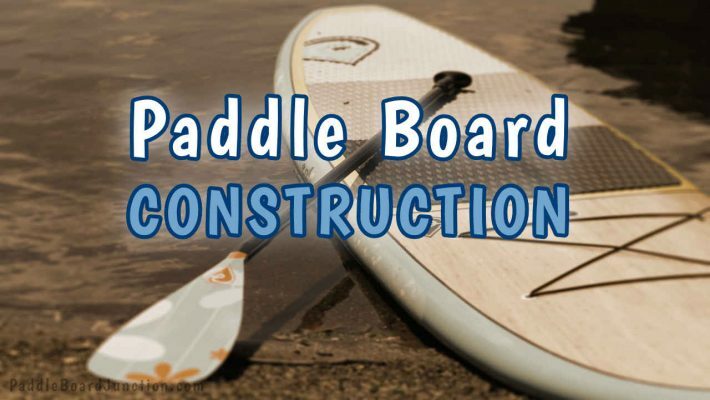 The length of the paddle should be 10-15 inches taller than your height. If you were to place the paddle, handle down the shaft should end near your forehead and the blade should extend above your head. Your SUP paddle has got to be lightweight and waterproof. The longer your spend paddling the greater you’ll appreciate a quality, light-weight paddle! For all-day trips, it is important to know exactly what to wear and bring. 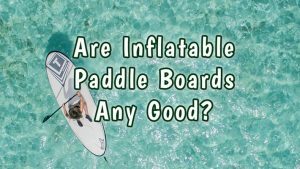 You don’t want to be weighed down by unnecessary accessories, but you also want to know the accessories that are imperative for any SUP excursion. The following list will help you. Food: Standard SUP has the ability to burn up to 800 calories in one hour, and for long distance SUP you will definitely be out on the water for a while. 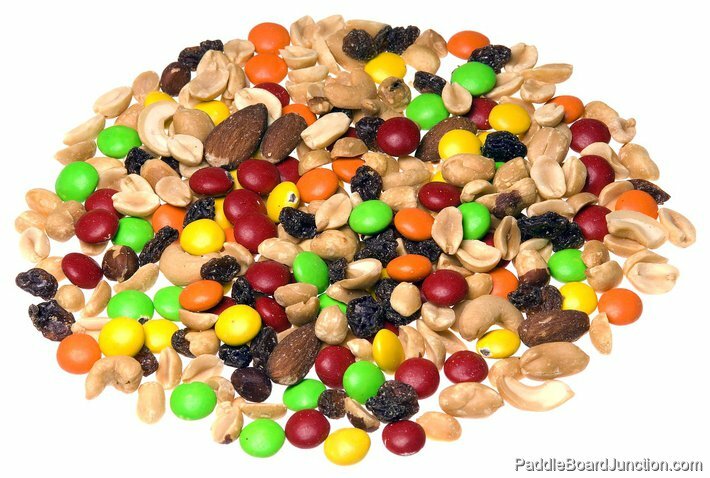 Maintaining your energy is very important, so energy-rich foods like trail mix, nuts, dried fruits, peanut butter and granola bars should do the trick. Remember to stay hydrated, bring water too! SUP Leash: There are many accessories that go along with paddle boards that have different purposes. A leash is an accessory that you must have. 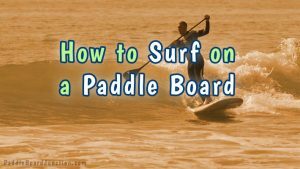 A paddle board leash connects you to your board, and is important in case you fall off. 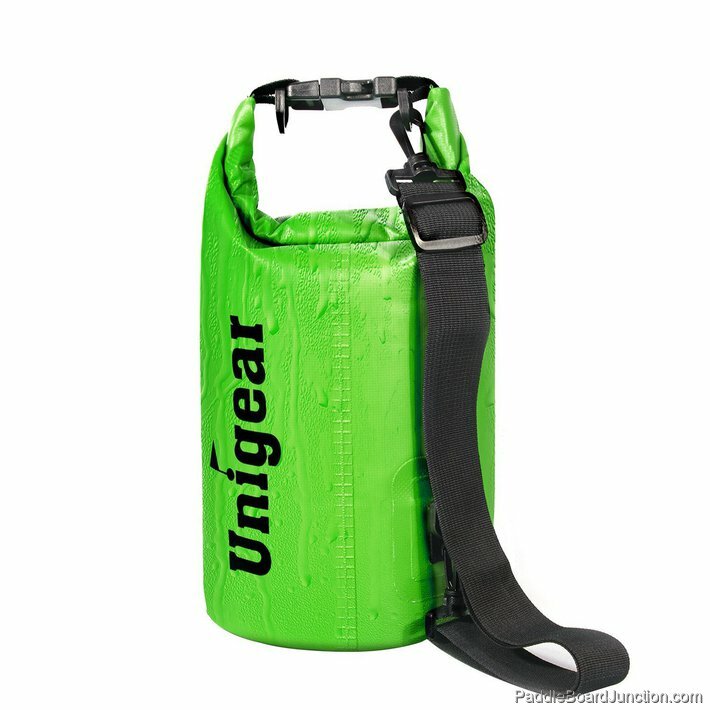 Deck Bag: To keep all of your food/water, extra equipment, and extra clothes on the deck of your board. Life Jacket: Admittedly, you should know how to swim if you want to go on long distance trips with your paddle board. But it is important to be safe and wear a life jacket. Waters can flow very rapidly in rivers and be extremely difficult to navigate even for the best swimmers. Simply wearing a life jacket may be the difference between life and death! Wet Suit: Wet suits are very convenient for paddling in cold weather, to keep you warm. Bathing Suit: A comfortable bathing suit is the best to wear when the weather is warm. You definitely won’t regret starting long distance paddle boarding, whether you do it for fun or in competitions. It will give you opportunities to see more places, broaden your horizons, and perhaps give you a new perspective on life.